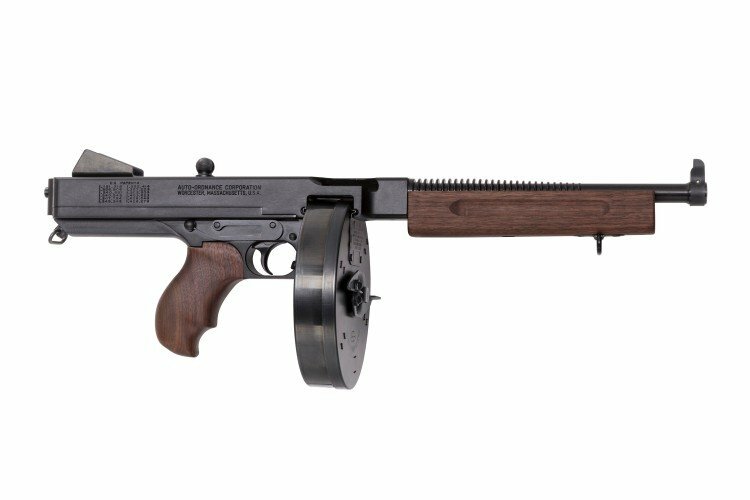 Thompson Pistol - Auto-Ordnance | Original manufacturer of the world famous "Tommy Gun"
After a long hiatus and great demand, the Thompson Pistol has returned to the market! The Thompson Deluxe Pistol TA5 is lightweight, with a 10.5" barrel length and a walnut, horizontal foregrip. 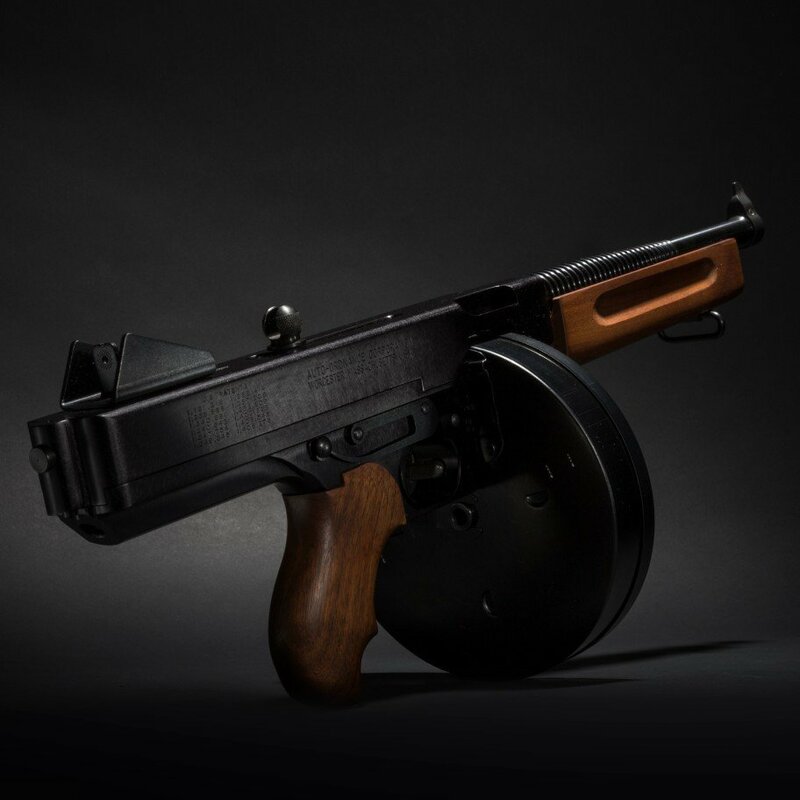 Included with the Thompson TA5 is one of the most famous accessories, the 50 round drum magazine. The authentic drum is entirely U.S. manufactured to specifications that are as close as possible to the original. 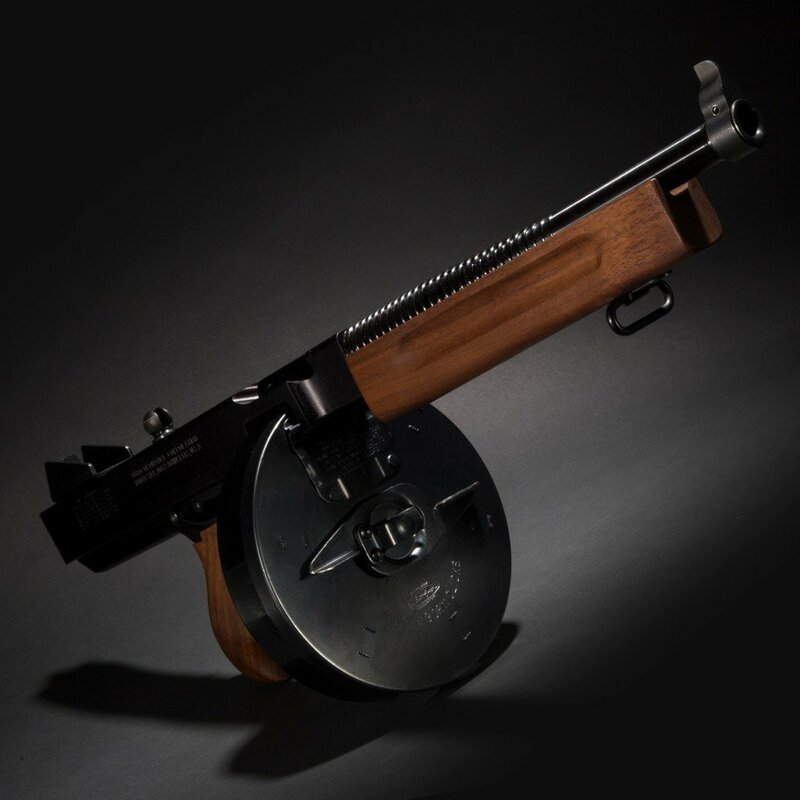 A 30 round stick, or 10 round and 100 round drum magazine are optional. Since 1999, Kahr Arms has been proud to support the legacy of the Auto-Ordnance Corporation, the original maker of the famous Thompson submachine gun. To ensure the historical accuracy of the Auto-Ordnance design, Kahr researched the original engineering drawings. Hundreds of U.S. military microfiche and hand drawings of the Thompson models dating back to 1919 were also examined. 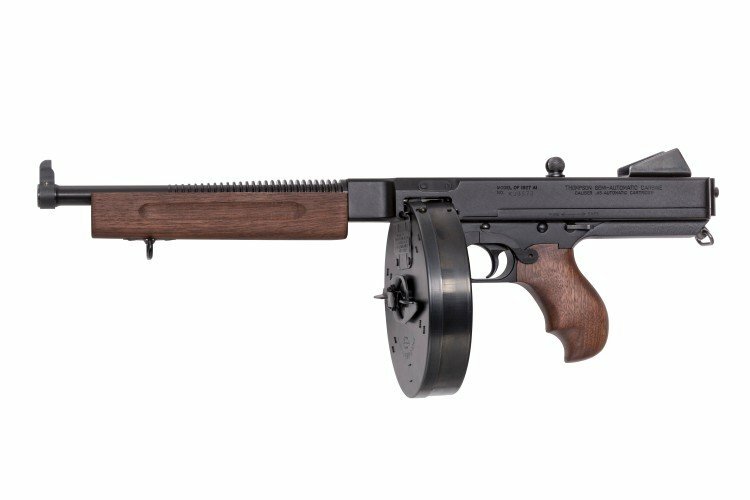 The Thompson submachine gun is a historical firearm. Each model is the union of original design, quality materials, and fine workmanship. Each gun thus represents an American legacy preserved. Tommyguns were carried by the police and gangsters in the 20’s; then trusted by the troops in WWII. Find out how it feels to carry a piece of history before legislature and politics put this design back on the shelf. Weight 5 lbs. 14.5 oz.